Amino acids are extremely versatile. Although more than 200 different amino acids exist, the most well known are the 22 so-called proteinogenic amino acids. This website is about this group of amino acids. We will show you the most important benefits in the fields of medicine and sports explaining clearly how you can use them to balance your general health and well-being. Learn how L-methionine and L-arginine worth together with Glucosamine, Chondroitin, omega-3 and MSM to prevent and treat arthritis and help you keep moving. Antibodies consist mostly of amino acids. A lack of L-glutamine, L-arginine and L-cysteine may therefore quickly reveal itself in a weak immune system. Muscle tissue consists of proteins and their building blocks are amino acids. BCAAs and especially L-leucine are therefore essential for growth, recovery and maintenance of all muscle tissue. Fight hairloss with L-arginine, L-methionine, L-cysteine, L-lysine, L-glycine and L-proline boosting your natural skin and nail beauty. L-arginine, L-carnitine and L-cysteine can significantly improve sperm quality and therefore male fertility. L-cysteine, L-glutathione and L-carnitine are powerful antioxidants, which protecting your cells from oxidative stress caused by free radicals. L-arginine and Pine bark Extract improve circulation throughout and protect your body’s arterial walls, fighting erectile dysfunction / impotence and improving sexual stamina. Managing L-tryptophane levels can be good for your sleep and great to stay sharp during long distance competitions. BCAAs, L-glutamine and L-glycine reduce the risk of inflammatory diseases and chronic pain by strengthening your immune system. Fight cancer with CAAT (Controlled Amino Acid Treatment) and support it with BCAAs during the ketogenic diet. Learn how Magnesium, phytoestrogens and L-arginine help manage the menopause by reducing hot flushes. Learn how L-arginine, L-lysine, zinc and vitamin C improve digestion and protect you from rectal diseases. L-arginine and Ginkgo biloba improve blood circulation, increasing oxygen and nutrient availability within the ear. The cholesterol-lowering effects of the three amino acids L-arginine, L-carnitine and Taurine are demonstrated by a significant number of research studies. Reduce the risk of diabetes with L-arginine and L-carnitine, zinc, magnesium, chromium and omega-3 for better blood-sugar regulation. There are 4 commonly used classifications for amino acids. Three of them respectively differentiate between standard vs. non-standard amino acids, proteinogenic vs. non-proteinogenic amino acids” or their chemical properties. The most well-known way to classify amino acids is based on human health requirements. Essential amino acids are called “essential”, because the human body cannot make (“synthesize”) them. The cells in all mammals lack the enyomes to create the molecule’s carbon skeleton. You can read our dedicated article about essential amino acids here. Amino acids are semi-essential or “conditionally essential”, when they cannot be produced in sufficient amounts by the body. This can happen in special conditions, such as prematurity in infants or in individuals under severe catabolic distress (such as extreme hunger or crash diets). L-arginine: Arginine is classified as a semi-essential, because born infants are unable to synthesize or create arginine internally, making the amino acid nutritionally essential for them. Additional supplementation has significant health benefits in adults. L-tyrosine: if not sufficiently consumed, the essential amino acid L-phenylalanine is used to make L-tyrosine. Five amino acids are non-essential for humans, because they can be synthesized in the body. A useful mnemonic is AAGAS. Amino acids can occur in L- and D-forms, but only L-forms are used by cells. The L and D versions are mirror images of each other. The D/L nomenclature refers to either D from Latin Dexter meaning “right”, or L from Latin Laevo meaning “left”. Amino acids occur in very different concentrations within different foods. Generally meat, dairy and seafood are more complete and cost-effective sources of amino acids. However, top quality vegetarian and vegan sources such as quinoa, amaranth and tofu, peas and hemp boast complete protein profiles. The term “complete” refers to foods that have all nine essential amino acids present in the correct proportion for our bodies to build protein with. Click to read more about their pros and cons..
Today, amino acids are central to the field of orthomolecular medicine. This field describes the practice of optimising bodily functions, preventing and treating disease by providing the body with optimal amounts of nutrients such as vitamins, dietary minerals, proteins, antioxidants, amino acids and fatty acids. Crucially, these nutrients are all natural to the human body. The benefits of supplementing optimal amounts of such nutrients for improved health and protein synthesis have been empirically proven and published in research papers and scientific journals. Among many other key functions, benefits include reduction of hair loss, better circulation, immunity and fertility. Importantly, the field of orthomolecular medicine is not meant to substitute, but rather complement classical medicine. The supplementation of important nutrients in large doses is often complimentary to classical medical therapy and can reduce side effects, increase primary effects of medication or simply help to reduce risks associated with treatments. L-arginine helps to produce keratin, helps to minimize disease-related hair loss by enhancing immune function and protects the hair from the damaging effects of hair colouring and bleaching1. L-cysteine is a major component of keratin, reduces the symptoms of androgenic alopecia2 and as the precursor to L-glutathione indirectly assists with the protection of hair follicles from oxidative stress. L-methionine is a further major component of keratin, a vital for the synthesis of the precursor to collagen called pro-collagen, it helps to protect the hair follicles from oxidative stress3 and slows the greying of hair and hair thinning4. 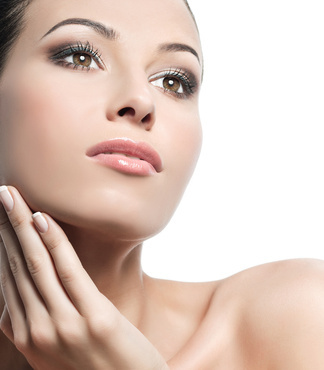 Glycine is not only important for the digestive and central nervous systems, but also helps to produce collagen. Proline is a non-essential amino acid helps to produce collagen and cartilage, as well as maintaining muscle tissues. 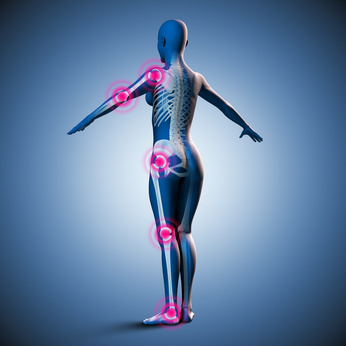 Cartilage, which is a critical component of joints consists of a large proportion of sulphur. Methionine is a sulphur containing amino acid, which critically promotes the development of cartilage tissue. It is therefore one of the most important and effective in the diet therapy of arthritis6. Research has demonstrated that methionine supplementation shows effects comparable to those of conventional anti-inflammatory drugs after four weeks7. The supplementation of methionine has no negative side effects.To optimise the metabolism of methionine it should be taken with vitamin B12 and folic acid. Arginine supports the immune system and can promote the healing of inflammatory processes. In addition, arginine improves circulation and therefore helps the transfer of micronutrients throughout the body and to the joints. The amino acid L-arginine is considered the most precious of them all. L-arginine is the key building block in the Nitrogen-Monoxide (NO) molecule, which helps to control relaxation of arteries and therefore the rate of blood flow throughout the body. The 1998 Nobel Prize in Medicine was awarded to a team of scientists led by Dr. Louis J. Ignarro, who’s research demonstrated the importance of NO and the vast amount of health benefits to the human body caused by improved circulation. Dr Ignarro published his findings in the best-selling book “NO More Heart Disease”. More blood flow meansbettersupply of nutrients and disposal of metabolic waste throughout the system. This enhances virtually all systems in the body including immunity, energy, reproduction, digestion and so forth. Enhanced production of human growth hormone (HGH), which is known as the anti-ageing hormone10Arginine protects the hair from the damaging effects of hair colouring and bleaching 11and stimulates the growth of hair by increasing blood flow in the scalp ensuring a constant supply of valuable nutrients. Improved energy and nutrient supply increase performance during and faster recovery after exercise. The long term effect is a change in “body composition” as muscle tissue increases fat tissue decreases.The resultis a large number of health benefits such as better confidence caused by an overall favourable and attractive body shape, better joint support, more elastic arteries and so on. Reduced risk of Coronary Heart Disease (CHD) and heart attack. CHD is normally caused by narrowing or complete blockage of the coronary arteries called atherosclerosis. Increased NO levels significantly reduce the risk of atherosclerosis. More effective treatment of Tinnitus. Treatments have been released, which aid the natural healing following a sudden loss of hearing. Suitable products can mostly be found in online pharmacies. Osteoarthritis: L-arginine can also be used for a general, supportive treatment of weak blood vessels and atherosclerosis. All seven applications of L-arginine have in common that there are no known side-effects provided the supplement is produced to pharmaceutical grade. Glutathione is a linear tripeptide. This means it is built out of the three amino acids L-glutamic acid, L-cysteine and L-glycine. It is a particularly strong antioxidant and protects cells from damage caused by free radicals. L-glutathione is critical for the organism and plays a central role in many metabolic processes. Glutathione is able to prevent oxidation of lipids (important fats such as Omega-3 fatty acids), proteins and most importantly nucleid acids, which are central to the process of cell division and therefore growth. Glutathione is therefore central to the human body’s ability to grow and maintain healthy tissue, in other words, its ability to stay young. Due to its strong antioxidant properties L-glutathione supports the quality of sperm and hence male virility. A large number of research studies investigating the importance of Glutathione for the immune system and for cancer patients have been conducted with promising results.